1 Charge Against Missouri Gov. Eric Greitens Dropped As He Resigns From Office : The Two-Way Greitens has faced possible charges from multiple prosecutors, in two separate scandals: one about alleged sexual misconduct and blackmail, the other about accusations of campaign finance violations. Gov. Eric Greitens delivers the keynote address at a police memorial prayer breakfast on April 25, at the St. Charles Convention Center. Greitens has announced he will resign on Friday. The charge of computer tampering that was dismissed Wednesday stems from accusations of campaign finance violations — Greitens allegedly took a list of donors to his charity and improperly used it for fundraising. Prosecutors say they have enough evidence to convict Greitens but that his conviction wouldn't be worth pursuing after his resignation. The deal that resulted in Greitens' resignation does not have any bearing on the special prosecutor's decision, according to St. Louis Public Radio. The governor has continued to deny any misconduct. "I have not broken any laws or committed any offense worthy of this treatment," he said Tuesday as he announced his resignation. Greitens has called the charges against him a "witch hunt." She said Greitens brought the charges on himself "by his actions, his statements, his decisions, his ambition and his pursuit for power," The Associated Press reports. Gardner says she has enough evidence to pursue charges in the campaign finance case but that it's "not the right thing to do for our city or our state." "If Mr. Greitens were convicted of this charge, it would be unlikely that he would be sentenced to prison, given his first-time-offender status and the type and level of the charge he faced," Gardner said at a press conference. "Defense attorneys for Greitens contacted her office last weekend to strike a deal," Rachel Lippman of St. Louis Public Radio reports. 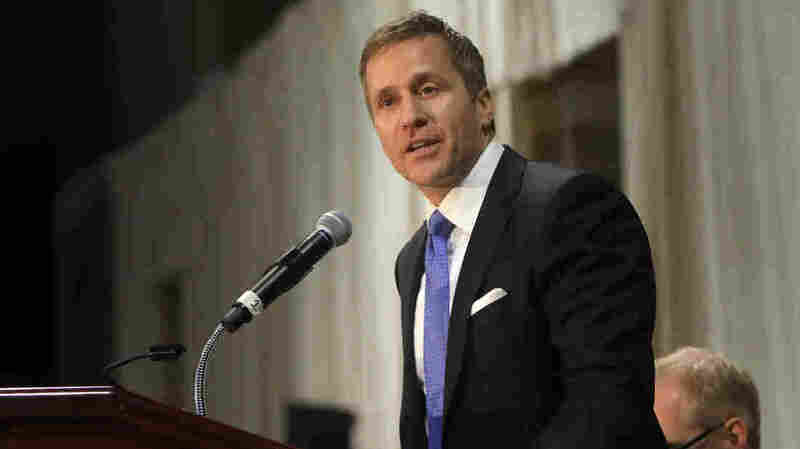 In addition to the resignation and the dropping of the computer tampering charge, the deal also "prevents Greitens' attorneys from suing Gardner or any of her employees in civil court," Lippman says. Then Greitens' lawyers said they planned to call Gardner as a witness — to be cross-examined by her own subordinates. Gardner's office decided to drop charges rather than be placed in that situation. But that's not the end of the story. In dropping charges, Gardner's office announced plans to switch to a special prosecutor, rather than abandon the case entirely. It's not clear when the special prosecutor will decide whether to refile those charges.